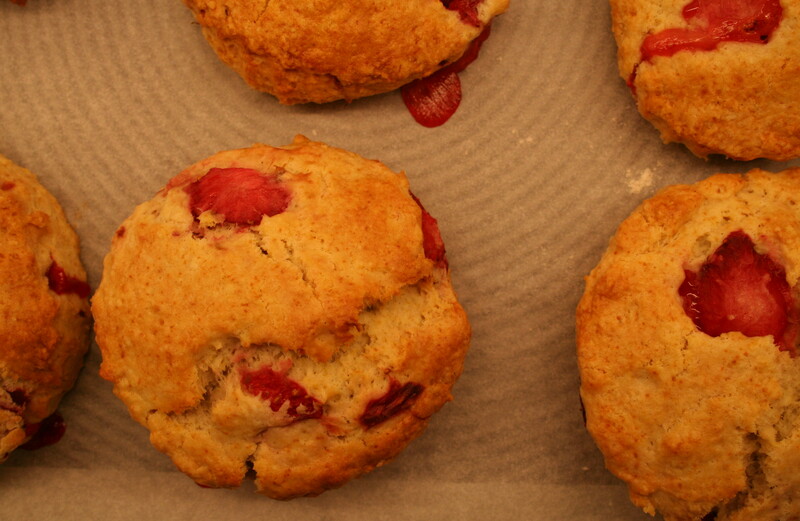 To start with, I was a little apprehensive of kneading the delicate fruit into the scone dough – but as long as you don’t over work it, it’s pretty straight forward and doesn’t make the dough soggy. The inspiration for this recipe comes from River Cottage Handbook No. 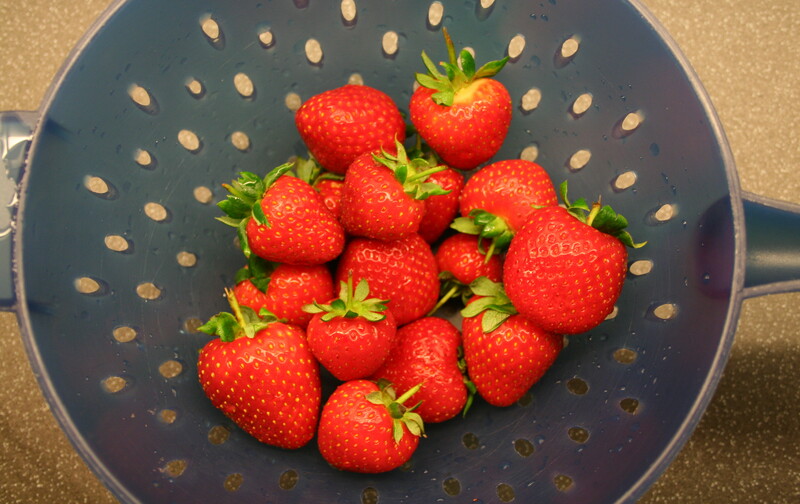 3: Bread which has a recipe for scones that calls for double cream – and what better pairing for double cream than summer strawberries? Preheat the oven to 200°C (180°C in a fan oven). Line a baking tray with grease-proof baking parchment. In a measuring jug beat the cream, egg and vanilla together. Set aside. Sift the flour, baking powder and salt into a mixing bowl. Cube and add the butter. Using your fingertips, rub the butter into the flour until the mixture resembles breadcrumbs. Work quickly to avoid melting the butter. Add the sugar and stir until combined. Alternatively you can put all the ingredients in a food processor and whiz together to get the same effect. 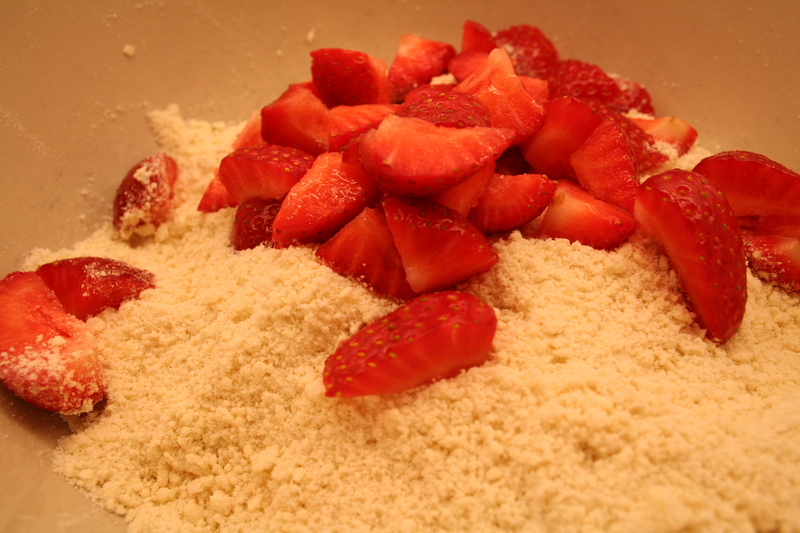 Add the strawberries and gently stir them into the crumbs to fully coat them. 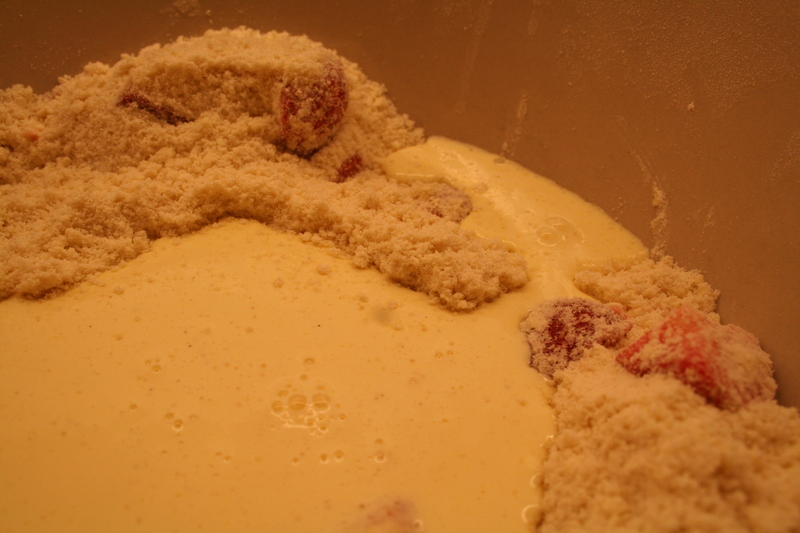 Add the eggy cream mixture and work with your hands to form a soft dough. Be careful not to over work. Turn the dough out onto a floured surface and knead briefly to make it a little smoother. 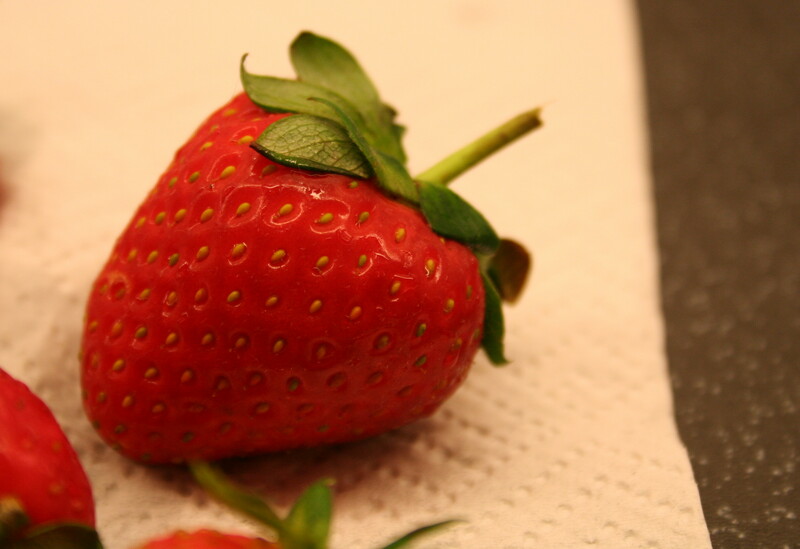 Don’t worry if it isn’t very smooth – rather than over working the dough and squidging the strawberries. 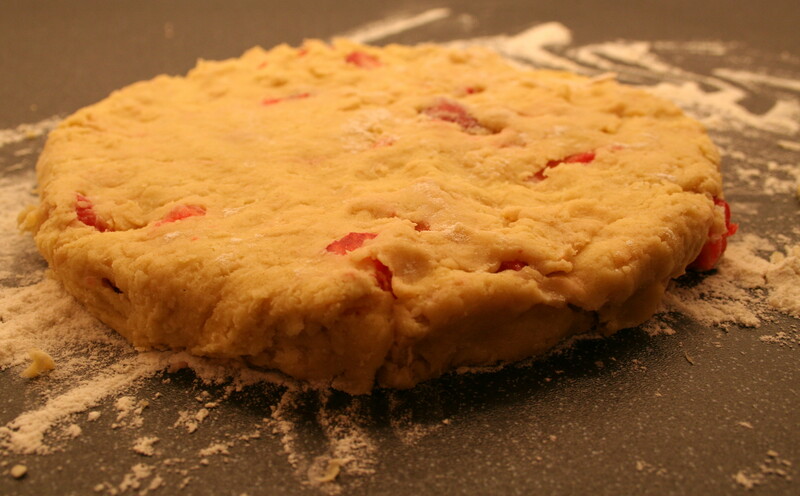 Using a little flour on top of the dough, pat it gently to a thickness of about 4cm. 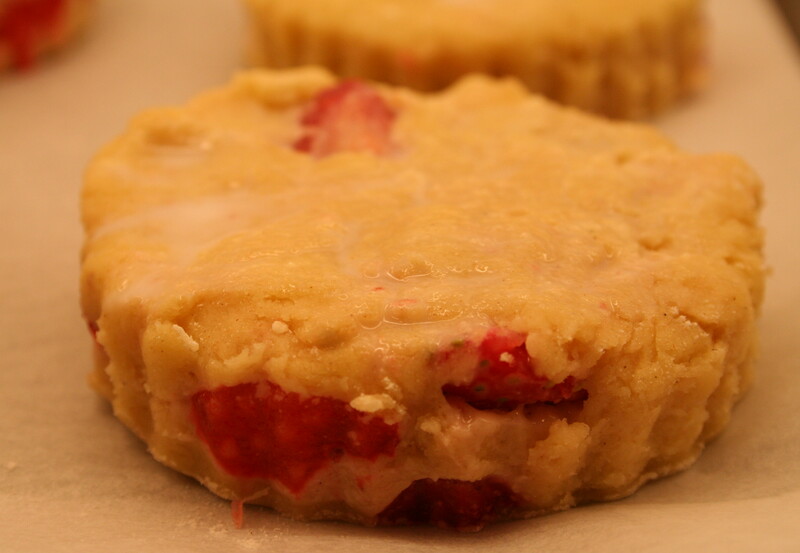 Using a pastry cutter about the size of a wine glass, cut out the scones and lay on the baking tray. 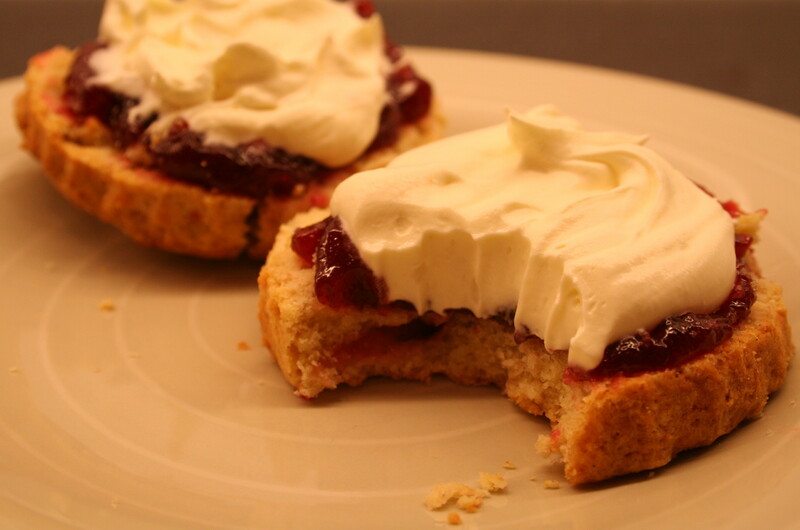 When cutting the scones, press the cutter straight down rather than twisting it, as this gives the scone a better chance of rising properly. 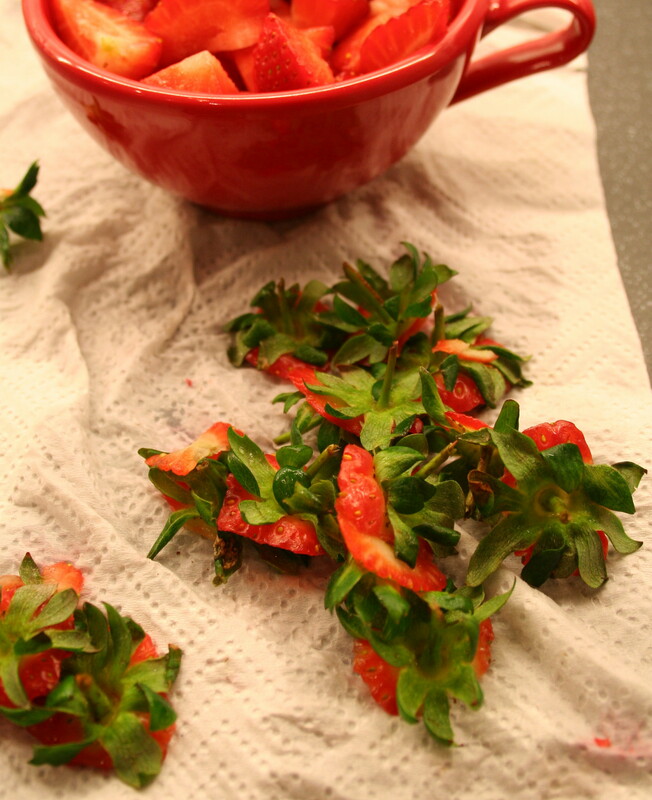 Brush the tops with milk and bake for 15-20 minutes until golden brown. 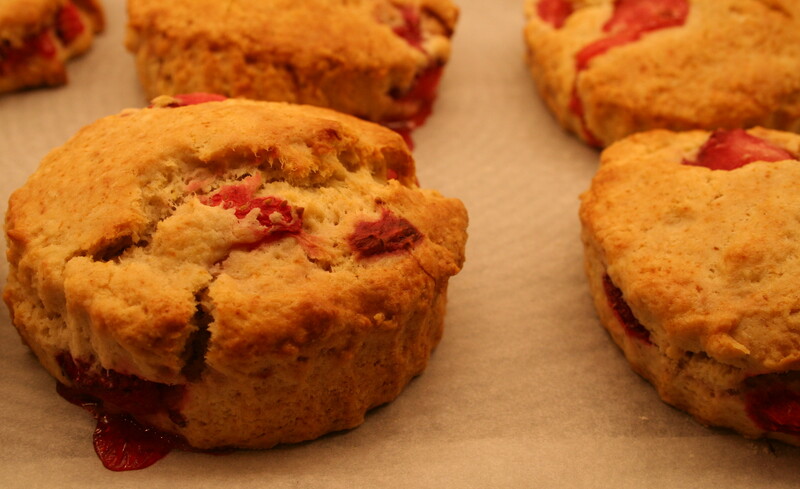 Once baked, transfer the scones to wire rack and allow to cool for a few minutes. 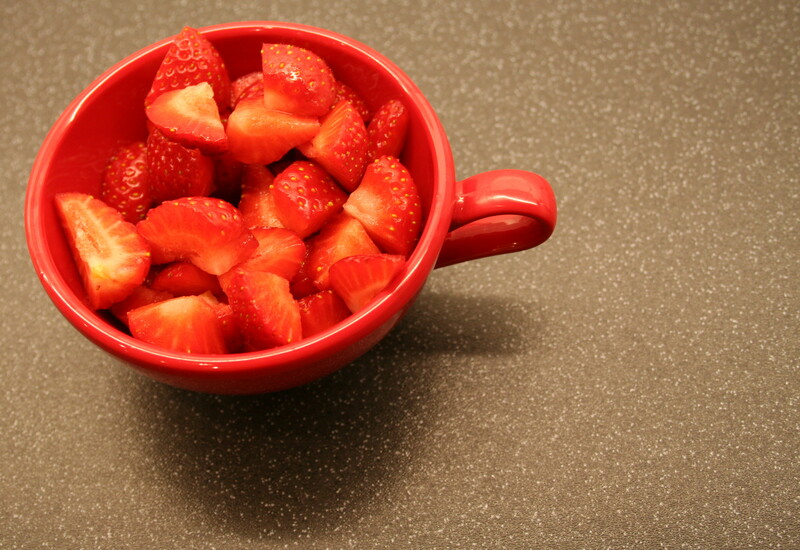 Serve warm with a spreading of strawberry jam and a dollop of whipped vanilla cream or clotted cream. Or simply with a generous layer of butter. This entry was posted on Sunday, June 10th, 2012 at 22:09	and tagged with cream, cream tea, scone, strawberry and posted in fruit, pastry. You can follow any responses to this entry through the RSS 2.0 feed. Your colour pallette is just delish! My children have requested a post on fashion sandwiches! Thanks my friend. Me too – this distance thing is just too much for me sometimes. Ooh I like a request. Fashion sandwiches? As in sushi fashion sandwiches?